Bernie Sanders is calling Wisconsin Governor Scott Walker an extremist. When our campaign first set foot in Wisconsin this past summer, we got a very warm welcome from the people of Wisconsin. I spoke to more than 10,000 people in Madison about our corrupt political system, our broken economy, and how our political revolution can take back our country from people like the Koch brothers and the billionaire class. Well, let’s talk about extremism. Scott Walker has attacked the minimum wage, gutted unions, made it much harder to vote, and restricted access to abortion. That is extremism. I can think of no better place for our political revolution to continue its momentum than in Wisconsin. The latest poll has us down just a few points, and I know that if we work together right now, we can pull off a huge victory. With a huge FEC fundraising deadline on Thursday at midnight, there has not been a more important time for you to support our campaign. Click here to make a $2.70 contribution to our campaign and MoveOn’s efforts to help us win before Thursday night’s deadline—and we can shock the political establishment with a victory in Wisconsin. Not only has Governor Walker been helped throughout his career by huge financial support from the Koch Brothers, but he has enacted their ideology while in office. When you tell a woman that she cannot control her own body, that’s extremism. Our views, which represent the views of the vast majority of the American people, are different. We believe that the time has come for the people of Wisconsin and all over the country to create a movement that tells the billionaire class: YOU CAN’T HAVE IT ALL! Contribute $2.70 to our campaign and MoveOn right now to say you stand with our political revolution—and help us win in Wisconsin next week. Are the positions held by Governor Walker really very far from what most people consider correct or reasonable? Well, about half the people in this country take a pro-life position in which they believe that abortion is morally wrong and should be restricted or outlawed altogether. Even many people who identify as pro-choice on the abortion issue do not consider abortion to be a good thing in itself. They are simply reluctant to force their personal views on others and many would favor at least some restrictions on abortion, particularly abortions performed in the third trimester. Relatively few people support the idea of abortion completely unrestricted up to the moment of birth. That would be the extreme position. I have not heard that Governor Scott wished to abolish the minimum wage altogether. That would be an extreme position, although there are libertarian economists who hold that any minimum wage is an unreasonable restriction on the free market that increases unemployment. If Scott Walker opposes more than doubling the minimum wage to $15 per hour, he is in agreement with his party and large number of people, including most economists. This idea of raising the minimum wage to make young persons or people with few skills unemployable ought to be considered the extreme position, although since there are a large number of ignorant people who vote Democrat, but I repeat myself, who think it is a good idea, doubling the minimum wage is not as extreme as it ought to be. As far as I know, Governor Scott does not seek to eliminate the rights of workers t0 join labor unions, although considering that only 7% of private sector workers belong to a union, being anti-union is far from extreme. Walker has fought the public sector unions in Wisconsin. These unions are widely believed to have colluded with state and local politicians to secure for themselves salaries, benefits and pensions that are not sustainable. Walker is not the only governor who has discovered that these obligations have become greater than the state government’s ability to meet. He has been more effective than many in seeking to limit the influence of the public sector unions in an attempt to balance his state’s budget. The people of Wisconsin do not seem to consider Scott Walker’s ideas far from what is considered correct or reasonable. He was elected governor in 2010, survived an attempt to recall him in 2012, and was reelected in 2014. If Walker were really the extremist Bernie Sanders portrays him as being. surely he would have been thrown out to office years ago. Of course, Sanders might state that dark money from the nefarious Koch Brothers has been keeping Scott Walker in office, but all the money in the world is not going to help a candidate who the voters view as a crazed extremist. 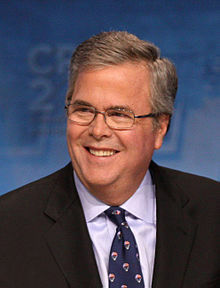 If money really had as much influence on politics as Sanders believes, then Jeb Bush would have gottenthe Republican nomination instead of being forced to withdraw, and Hilary Clinton would be sailing her way to the Democratic convention. Money does matter, but not as much as some believe. Speaking of which, Bernie Sanders doesn’t seem to have much of a problem with members of the billionaire class who support the Democratic Party and progressive causes, such as George Soros. But that is another post. I would say that Bernie Sanders is more of an extremist than anyone else of national prominence, being the only openly socialist member of Congress. He supports extreme left-wing ideas which have not worked anywhere else they have been tried and will not work here in the U.S. The fact that he is not seen as an extremist by many is an indictment of our dumbed down media and education.